AICPIN for December 2017 has been released and there is no impact on Central Dearness Allowance with effect from January 2018. 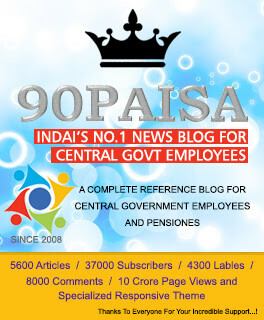 As we expected earlier, the same 2% of additional Dearness Allowance for existing CG Employees and 2% Dearness Relief for CG Pensioners effective from 1.1.2018. 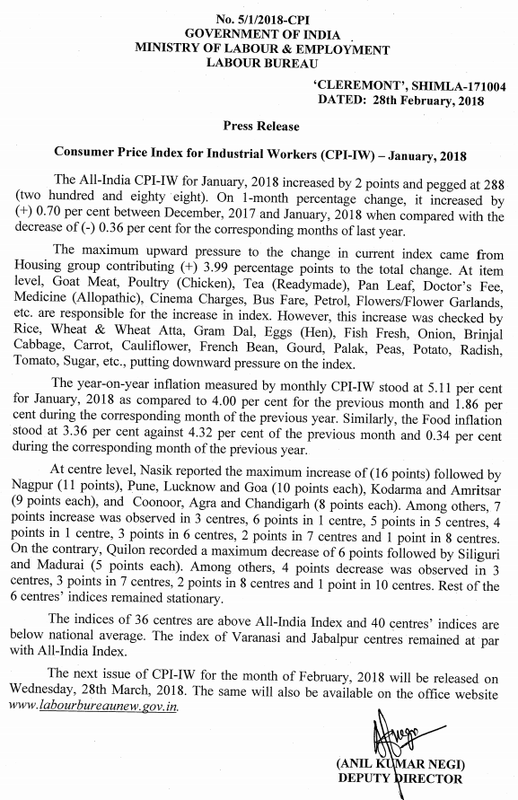 Even the All-India CPI-IW for December, 2017 decreased by 2 points and stands at 286 (two hundred and eighty six), the calculation of DA remains at same. So, the total Dearness Allowance will be 7% with effect from 1st January 2018. The All India Consumer Price Index for Industrial Workers for January 2018 is increased by two points and stands at 288. The next issue of the AICPIN for the month of February 2018 will be released on Wednesday 28th March 2018.